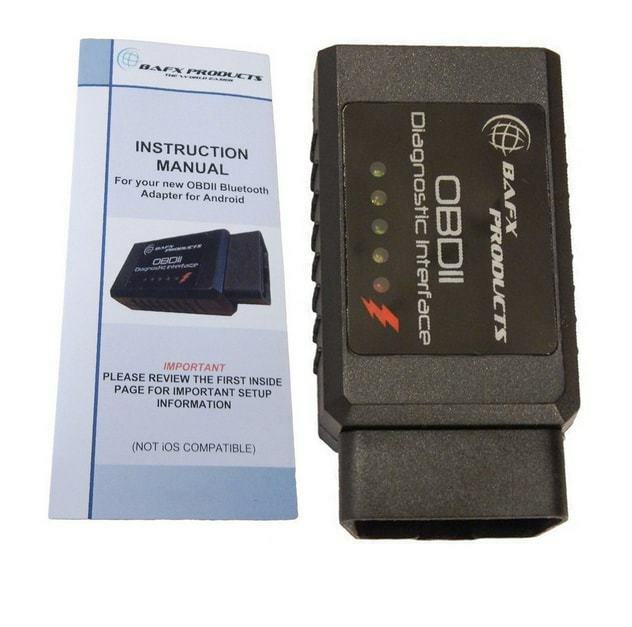 This handy little device is one that is able to scan your vehicle and diagnose any problems that may be going on. It uses Bluetooth to connect to your smart device, allowing you to gain the information quite easily. Furthermore, it's a choice that works with the majority of common car makes and models. 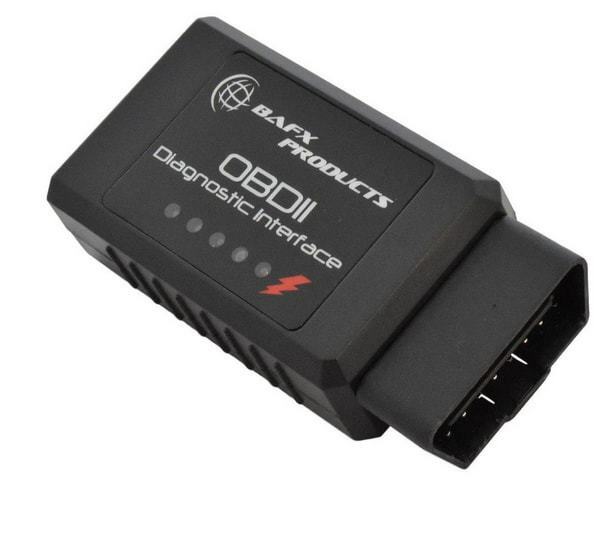 This OBD2 scanner connects directly to your vehicle. There is no display on this device. Instead, the data is sent to your Android smart device where you can diagnose and fix problems. This means that there is no screen on the device, only small LEDs on a box-shaped casing. This device directly connects to your vehicle with no cable. It then connects directly to your Android smart device through Bluetooth technology. ​This device is compatible with all vehicles in the US. Common makes of car, such as Ford and Chevy, are supported, along with some less-common ones. 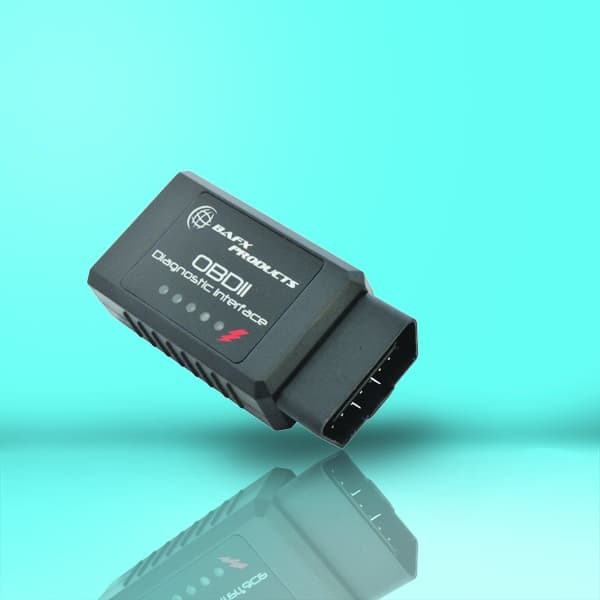 You also have compatibility with all OBD2 protocols. With this scanner, you can use your Android smart device to read the O2 levels, speed, fuel trim, balance rates engine oil temperature, exhaust gas temperature, throttle, and more. You also have access to a lot of your engine data, such as the RPM and other critical information. The device will transmit error codes to your phone or tablet. You will be able to read generic error codes and manufacturer-specific codes. You have access to over 3,000 error codes. With other devices, there can be many problems with J1850 and CAN protocols. This device can handle them all. You also have access to real-time information through the Bluetooth connection. Once you have the data being sent to your smart device, you have the power of your device available to read and translate the information. With access to so many error codes, you get an upgrade from the basic scan tools which are only there to switch off the “check engine” light. The ability to diagnose any issues or potential issues means that you can get to the root of the problem and find fixes for that problem. With so many third-party diagnostic apps available from the Google Play Store, you have a world of free information at your disposal to enable you to save on diagnostic fees and repair costs. This scanner is extremely easy to use. You plug it in, and it is ready to go. The great thing is that you are using your own smart device, so you already have experience with the interface. You will have no problem with the navigation. The device is also set up to be compatible with many third-party apps, so you will have no problem in finding the diagnostic app which is right for you. By being able to use your Android phone or tablet, the data is able to be displayed in an information-rich format with a combination of text, tables, and charts. This makes it easy to read and decipher the data no matter how you best interpret information. ​This is an extremely cheap device for the functionality you get. By forgoing the need for a screen, the saved money has been put into the functionality of the device. When you compare this scanner to others on the market, it is able to do more while not costing you as much money. Of course, you need to have an Android device to read the system information. The device is optimized for use with vehicles in the US. If you are using this device with vehicles outside of the US, then you may find that there are compatibility issues. It is also a device which is to be used with Android so will not be compatible with iPhones or iPads. You should check that your vehicle and operating system are compatible before purchasing this device. Since this device works over Bluetooth, it is a perfect scanner for use in a professional environment. You do not have to be worried about being tethered to a front seat or another area of a vehicle. You can watch the engine as the data is being read to aid your diagnosis further. The simplicity also means that you will be able to use it on multiple vehicles easily. While this device is great for a mechanic, it will also serve to save individuals money. If you have an Android smartphone or tablet and need something simple and powerful, then you will not find much better than this.